School holidays are March 11 through March 15. Click here to purchase tickets on-line, tickets are available for purchase on-site during rink hours of operation. Forever Green members receive free skate rentals when you show their member wristband or card. Note: Limited availability. No online tickets for Cheap Skate Night. The roller rink may be closed at times due to rain. We apologize for any inconvenience. Weather updates can be found on our website, Facebook or call 713-434-RINK (7465) for more information. The Roller Rink is perfect for church groups, daycare and school field trips, scout outings, birthdays, and company parties. Advance reservations are REQUIRED. Click here to submit your request. 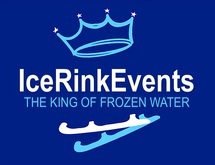 Email: discoverygreen@icerinkevents.com or call 713-434-RINK (7465) for more information. Ice Rink Events, is a Houston-based designer, manufacturer, installer, and operator of ice rinks around the globe. Take your photo with iSnap at Discovery Green! Find your photo here.